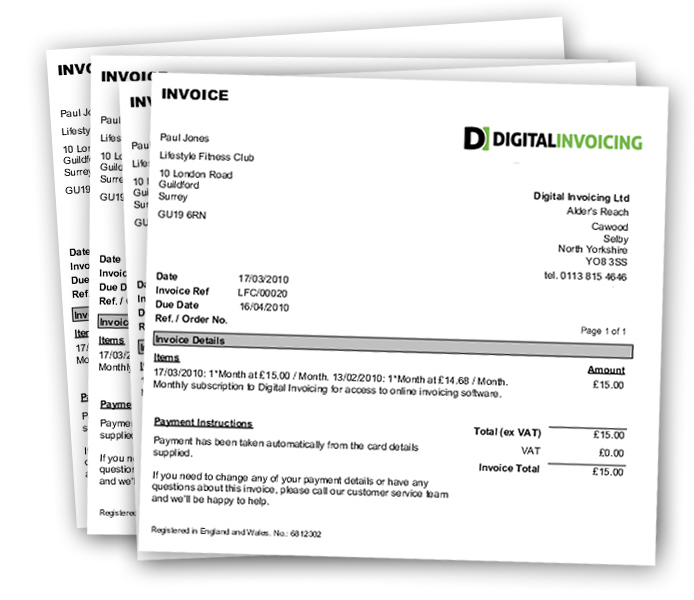 Built from the ground up to work for you and your business, Digital Invoicing is packed with all the tools essential to running your business. Digital Invoicing takes away the time and tedium of invoicing. Forget messing about with spreadsheets and Word documents - simply configure a few basic options (like your company name!) and get going. Depending on your business, you might do small packets of work for your customers, but only invoice them periodically (like at the end of the month). Using the "Bookings" feature within Digital Invoicing, you can track the hours or days you have worked for a client (or the items you've sold them) as you go along. 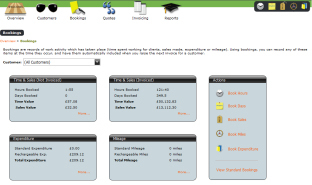 The system automatically keeps track of these for you, so when you're ready to invoice, simply choose the customer, click a button, and all the bookings are automatically invoiced for you! If you ever have to regularly invoice the same customer for the same amount, whether it's a rental agreement or a subscription, then this is the feature for you! 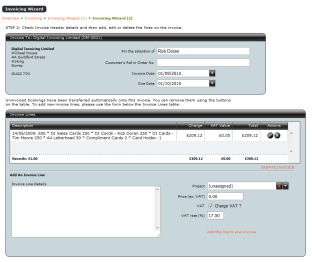 Simply create a special recurring invoice, choose a frequency (fortnightly, monthly, 6 weekly, etc. and the system will automatically send them out on the date you've chosen -on time, every time - never forget another invoice! Recurring invoices gives you the freedom to manage your regular invoicing requirements, whatever the frequency, saving you time and worry. Some customers never produce a quotation in their working life, but others can't operate without them! 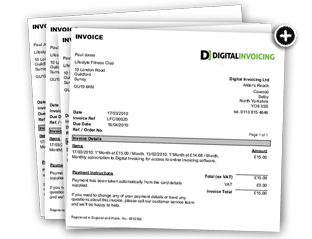 Digital Invoicing provides a simple method for generating and issuing quotations. Just like invoicing, it uses a "wizard" to take you through the necessary steps as quickly as possible. You can set expiry dates against each quote, and even alter the terms and conditions on a quote-by-quote basis if you need to. 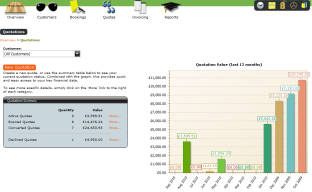 When you have completed your quote, you can save it as a PDF document, or email it directly to your client. 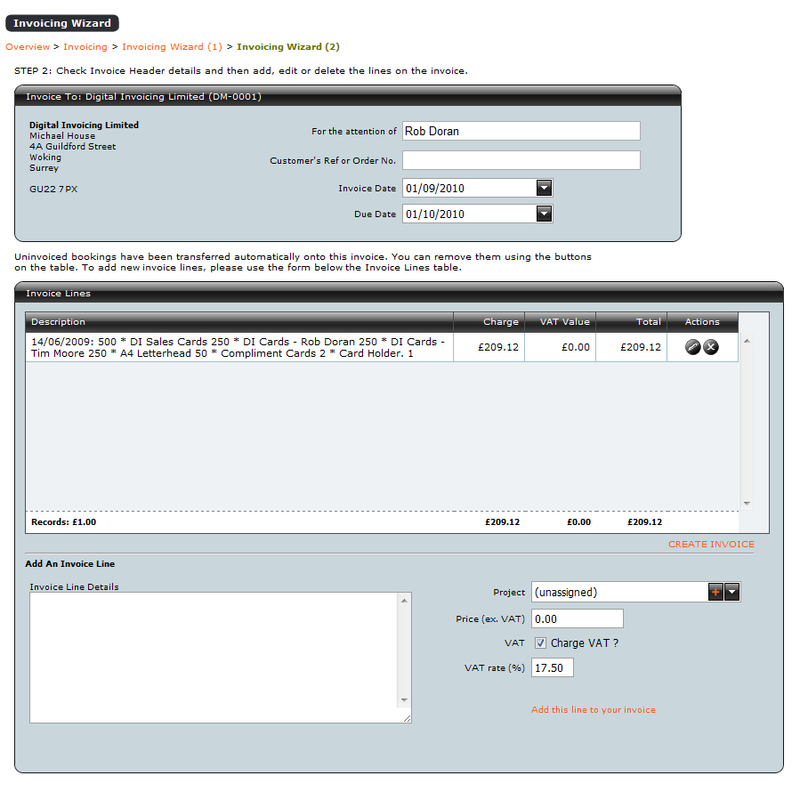 Any quotations which are accepted can be turned into an invoice at the click of a button, or if you prefer, converted to bookings for invoicing later. 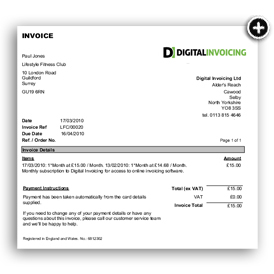 Because keeping track of your expenses and mileage is one of the most important jobs for any business, Digital Invoicing can help you manage it. 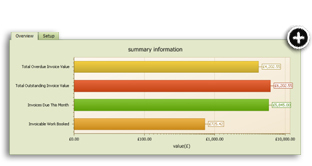 In fact, it needn't just be expenses - any type of business expenditure can be recorded and you can choose if you want to recharge these to your customer (as well as how much of a mark-up you want to apply!). 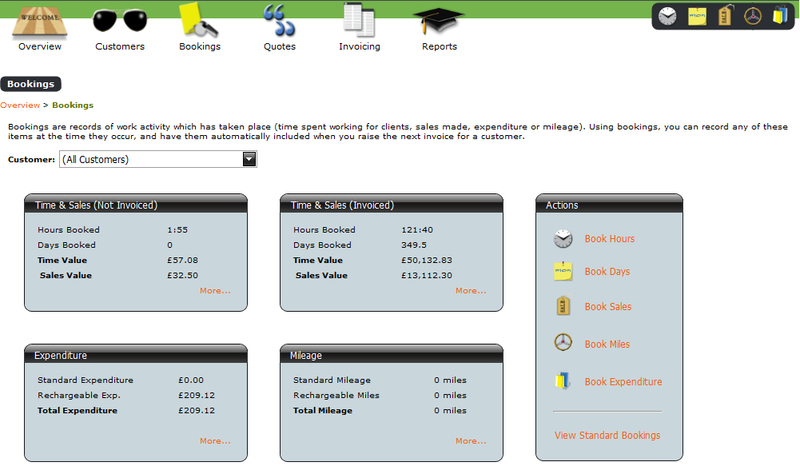 Mileage can be recorded against specific vehicles, and members of staff (just like expenses!) and the system will tell you who's spending what and going where! 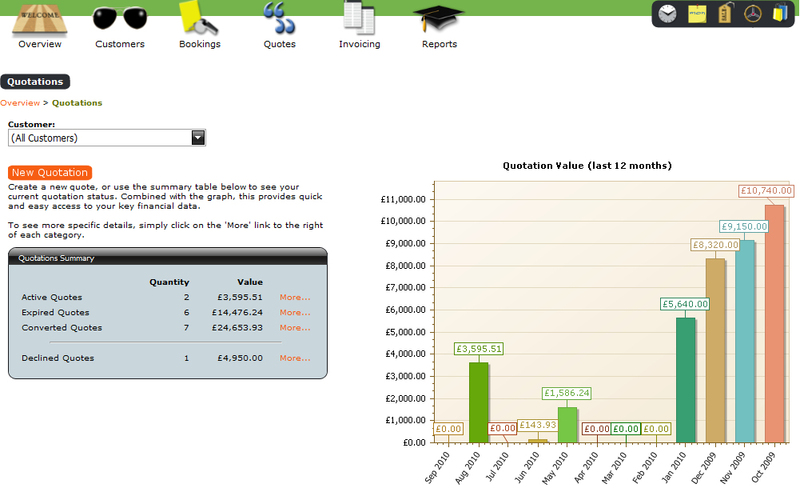 Do you need to track your invoicing against particular projects, rather than just against specific clients? 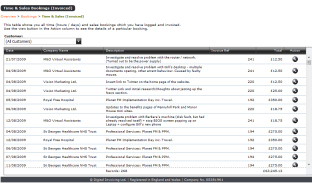 The Projects module allows you to do this and more. You can set up specific projects, such as "Woking Means Business Exhibition", and track all your time, sales and invoices against this. You can quickly achieve a professional image for your business, by choosing the invoice and quotation styles you want to use, and uploading your company logo. There's nothing like consistency for looking professional, and you can manage this is a matter of minutes. So many people forget to backup their business data until it's too late. Hard drives fail, laptops get lost and memory sticks are easily left on a train (just ask a politician!) Digital Invoicing removes all of these concerns for you. Your data is still portable - all you need is an internet connection - but it's safely locked away on our servers - and these are looked after by 1 & 1 - currently the world's biggest web hosting company, used by over 9 million people! The application is encrypted using 128-bit SSL security (the same as your bank!) and backups are taken every night, so you can rest easy in the knowledge the safety of your data is our highest concern. Try before you buy with a full access FREE 15 day trial! Become a Facebook fan and find out about life inside and outside the DI offices. 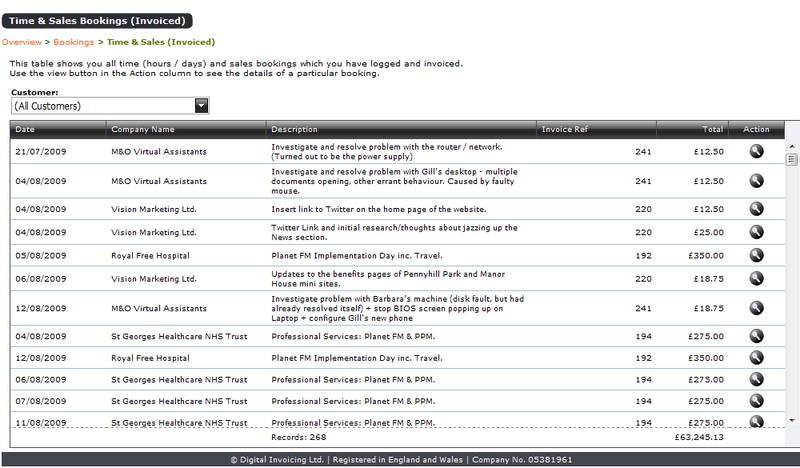 Follow us on Twitter for regular updates to the system as well as tips and tricks! 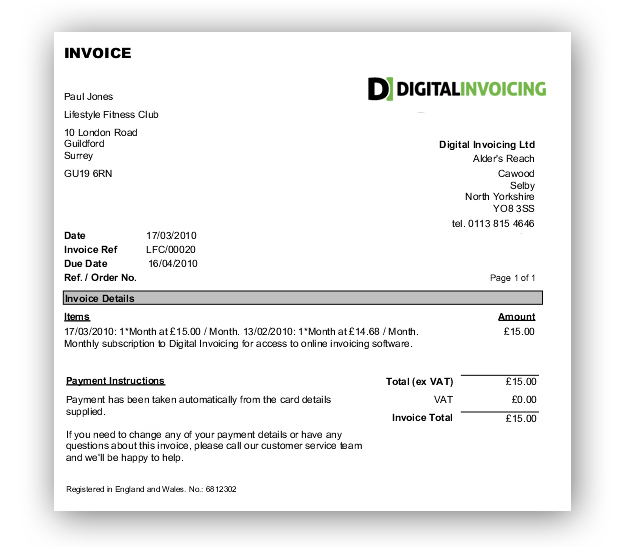 © 2013 Digital Invoicing Limited.